I’ve been avoiding screens and videos of Mario Galaxy because I want to experience it all for the first time when I am actually playing, not drunkenly browsing the web. Still, I can’t help but read as much as possible about the game and cross my fingers I don’t see too many spoilers (though I did see a huge one – whoever it was who first mentioned that thing with the guy and the thing, you know what I’m talking about, please leave the internet). Miyamoto has said time and again that he only creates new characters when old ones would not fit with his new gameplay ideas. He also often speaks of his design philosophy stressing that form follow from function. It follows from this that if Mario were not the star of Nintendo’s new platformer but was replaced with Xavier the Xtreme Xskimo, it’d be the same exact game. Surely plot heavy games rely on characterization, but the kind of games Miyamoto makes are entirely about gameplay. The coat of paint he applies over the core mechanics is irrelevant (as far as play experience goes, it’s quite relevant to Nintendo’s marketing department). Anyone who says, “I wish they’d have made a new IP instead of just using Mario again,” should really be saying, “I wish they hadn’t made a platformer.” The only time it makes sense to desire new characters is when Nintendo is making a game where characters matter, like an RPG. And even then I’m torn – Paper Mario is an awesome series. 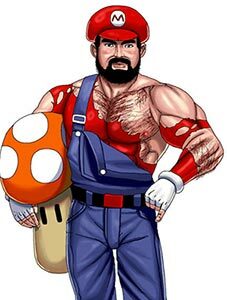 How do I reconcile my acceptance of Mario being in 462 games a year with my insistence that Final Fantasy characters should stop all looking like women? Mario is allowed to look like himself. I look like myself and feel it’s a right I should extend to everyone, even fictional characters. If every Final Fantasy had Cloud and Sephiroth in it (oh dead god, the horror) then they could continue to look like themselves. Every new character who is not them should not look like them only with a sword made of water, or slightly poutier lips. Jay I like the blog entry but I’ll have to disagree with you about the perspective some gamers bring to the table about Mario. Fact is, they shouldn’t even be saying “I wish they hadn’t made a platformer”. There has been one new Mario platformer on every Nintendo console since the N64, and the DS got a new one as well. One per system doesn’t seem that extreme when we’re talking about the King of platformers. To put it in perspective, the PS2 has 3 ratchet and clanks and 3 jak and daxters alone. When it comes to Mario’s original genre, Nintendo is quite conservative with the quantity of releases. The only rule breaker to this is the GBA, which had a flood of Mario ports. However, considering it is the one system where you could argue that a large portion of the fanbase was too young to grow up with Mario, it wasn’t terribly offensive. This is not to say Mario hasn’t shown up everywhere, its just that he’s been in lots of other types of games. This is, as you mentioned, Miyamoto’s belief that if his characters work, he is going to use them. Somehow Mario does work in his sports and racing games and RPGs. Basically, the only real argument I think they have is “I wish they’d stop making Tennis, Soccer, Party and Racing game updates for every console”, but then we would be missing out on Mariokart, and that is forbidden. Or perhaps they are yearning for innovation that is more than a new twist on an old genre (ie Mario Galaxy). That’s tough though; I don’t know how we can expect any developer out there to churn out the equivalent of Pikmin once a year. I didn’t mean it like that, Christian. I would seriously doubt the judgment of anyone who didn’t want Nintendo to make a new platformer. My point was that the genre of game is what matters (sans RPGs) and not the characters in the game, so unless people do have a problem with a new platformer they should realize sticking Mario in Galaxy doesn’t make much of a difference. Being upset that there aren’t new characters in a platformer is like caring more about the color of a car than the make. Gotcha. Then we’re on the same page. I would argue though that the character of Mario in an RPG does have an affect on the games. All of his RPGs (Seven Stars, the Paper Marios, Mario and Luigi) seem to be a blend of very active combat and light, humorous stories. This fits perfectly with the setting; in platformer’s Mario has always needed precision timing to survive, and so it makes sense to see this in the RPG combat. Furthermore, no matter how much the Mushroom Kingdom is in peril, we always know it will be safe. A Mario RPG with a “key to the future lies in the past” story would be silly in a bad way; making Bowser team up with his sworn enemy to defeat an even more inept villain is silly in a good way. All the FF characters look like women because they are modeled on Japanese guys who often times also look like women. When you land in Japan, what you are actually doing is crossing streams into a metrosexual wonderland. As someone who didn’t build his gaming house on a solid bedrock of Mario understanding, I’m going to have to disagree with you guys a bit. I don’t really get that excited at the prospect of a new Mario game. I’ve always assumed much of that apathy is a direct result of over exposure to Mario-dom. It’s often hard to see Mario as anything more than a bland corporate icon because what image he did have when he was first created has been so thoroughly muddied after so many spin-off products. Cart racing? The Olympics? PAINTING PROGRAMS? What is there left in Mario that I can identify as unique and interesting? 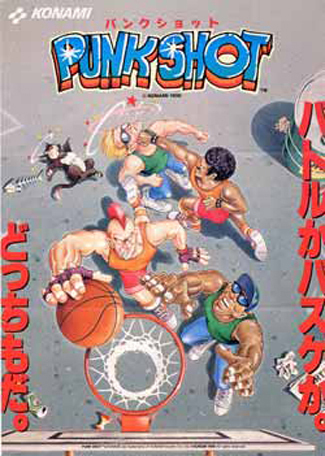 I guess there must be a lot of people who don’t really care that much about characterization outside of RPGs, as you mentioned, but I know I’m not the only one who’s turned off at the idea of playing as some soulless, boardroom created monstrosity like Punky Skunk. I’m sorry to say it, but nowadays (coming from someone who didn’t start out on the Nintendo train) Mario feels almost the same. If Punky Skunk were the star of Mario 64 I would be a fan of Punky Skunk. I see where you’re coming from (damn you RPG nerds) but the shell simply doesn’t matter to me. I am excited by a new Mario because of the quality that Nintendo puts in its platformers. Maybe the shell does matter, actually. The platformers starring Mario are so good that I now have a positive image of him, at least when I hear the word platformer. He is like a stamp of quality in that genre. Am I wrong to assume you didn’t play much Mario 3 or Mario 64 when they came out? We could just have different tastes, but those are two of the best games I have ever played and a large majority of gamers seem to agree. Also keep in mind that I grew up a Sega fanboy and hated Nintendo for no reason until about 2001. You’d be right. I’ve never tried Mario 64 (never owned an N64), and I’ve always assumed too much time has passed for it to be worth playing after all the 3d platforming water under the bridge. I have played Mario 3 (I think- jumping windup shoe and all the flying fortress levels? ), but only on GBA. It definitely rocked despite its grueling difficulty (I’m stuck on what I think is an underground world, it’s hard to make out). I guess it’s true that the Mario platforming games I’ve played have been awesome (except for one crappy one on the GBC), but it’s hard for me to generalize that awesomeness to other game types. I’d rather say his CREATOR is a stamp of awesomeness, so that I can enjoy something fresh and new like Pickmin instead of what I assume someone at Nintendo wanted to call Mario Tactics. One problem is that Mario is so good (and really he is), that he spawns so much other drivel that he ultimately gets associated with. Mario Kart might have spawned the dreaded kart racing subgenre, but make no mistake; it is still the best kart racing out there, and while it may not be the same kind of game as a gran turismo, it is still so fun that it is just as highly regarded as other racing genre classics. As for mario 64, I’m going to write something more after being in spired by this blog, but I will say this: Mario 64 was ahead of its time, and thanks to some factors (like Ocarina of Time), no one had a chance to imitate it well. It still stands as a high point in 3d platforming, even if it was one of the first. Basically, you can dislike that Mario has spawned so much drivel, but in the vast majority of cases the products he features in are of excellence. Don’t hate the player, hate the game (I’m going to get fired for that pun, I know it). Since no one has mentioned them, lets talk about Donkey Kong and Sonic. There was a time in the mid to late 90s when Donkey Kong could be found everywhere, Donkey Kong Country, Donkey Konga, etc. As a platformer, the newer Donkey Kong games, starting with Donkey Kong Country brought no new play mechanics to the table. If people are going to bash a specific character for getting pasted into everything but without providing any new mechanics for their genre, look no further than DK. At least when a new Mario game came out, gamers could expect a very fun, if not revolutionary, platform adventure. On the other side of the tracks, a blue hedgehog has been rolling around various titles for more than a decade and what has he contributed? Sonic gave platformers the one thing that Mario has never really had, speed. The pacing of Sonic titles was insanely fast compared to the jumping and waiting tactics that are employed in the vast majority of Mario games. Where Mario asked for perfection in timing, Sonic demanded near-twitch reflexes to execute some of his jumps. Unfortunately for Sonic, Sega lacked the vision to place him in a more evolutionary role. I see no problem with Mario having his grubby plumber hand in damned near every piece of video game pie known to man. The only downside to Mario being so damned good is that he overshadowed a lot of quality platformers that came out for the NES and SNES. When I say this, I am thinking of titles like Ducktales, Bionic Commando, Strider, Legend of the Kage, and a couple of Sega titles like Golden Axe, Altered Beast, Earthworm Jim, and A Boy and His Blob. Mario made a lot of people buy Nintendo over Sega and in turn made many gamers miss some of the other consoles’ offerings. You know, as I read this I remembered a bit from a book I read recently (“Power-Up”, about how awesome Japanese video games are)… The author talks about how Mario was the first really memorable character in a game, and he’s someone just about anyone can relate to. He’s not particularly strong, he’s neither particularly young or old, and he doesn’t have any amazing superpowers (other than the ability to jump rather high). He’s just this guy, you know? I thought this was pretty neat, and it’s not anything I gave much thought to before. That said, I agree that Mario could now be replaced with just about any character, and the game would feel the same – but I wouldn’t want him to be, since I have too many good memories with Mario. He may sell a lot of games by name alone, but they’re largely for good reason. Jay and I were talking about this, and I would say that mario isn’t a character at all – he’s a brand logo. He comes with a general attitude of cuteness, and people have a lot of associations with him, but there’s really no character about it. He is there to let me identify the next game that Nintendo spent ages balancing the heck out of, because — for the most part — they only pop his face into games that are pretty good. Not to mention that all the other Mario-word characters basically do the same within the game. Whether it’s kart racing, tennis, or a FPS, I could know that if I want speed/agility I pick Peach, and if I want strength and size I’m better with Bowser or Donkey Kong. They’re more symbols of a gameplay style than they are characters – and that’s how Nintendo uses them. I guess I can get behind Mario as a brand, as long as I don’t try to understand him as a character. After all, I don’t stand around saying how I’m sick of nutty bars because Little Debbie is such a vacuous corporate whore. It’s still sort of lame to think I could be enjoying something more akin to the adventures of Sly Cooper and the gang instead of the vague generalized cuteness of Mario, but if the reviews for Mario Galaxies are any indication, amazing gameplay is more than enough to make up for character fatigue.